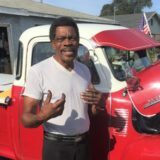 Dennis Will Buy Your Classic Chevy! 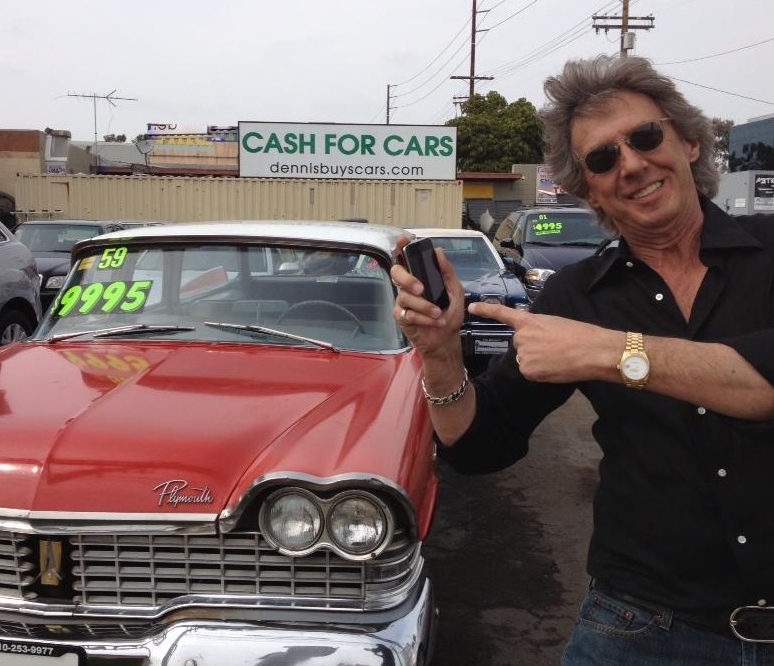 When it comes time to sell your classic car just call Dennis at Dennis Buys Classic Cars. We will pay you top dollar for your car and pay you in cash with no hassle at all. We buy all types of classic cars, trucks and motorcycles. 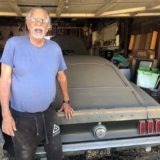 Dennis Goddard will buy foreign cars, Jaguars, Ferraris, Porsches, Maseratis, Lambos, classic Mustangs, Corvettes, Camaros sports cars, Muscle Cars, for any price in any condition. We have an unlimited budget and even pay in cash if you like. Avoid the risks of dealing with strangers on Craigslist or eBay. Dennis Buys Cars is an established, Licensed and Bonded California Dealer with a well known, easy to find brick and mortar location. We have been at the same, easy to find location since 2003. In addition, selling a classic car on your own is not an easy task. You have to get the bugs out of it, take pictures, write an ad, figure out what you want for it and hope the phone rings. Dealing with the public can be tricky and time consuming. Many times you will adjust your busy schedule, set and appointment and guy never shows up. Furthermore, who wants strangers snooping around your house anyway? Dennis can come to you or you can bring the car to us. If you bring the car to us, we will buy and get you home in an Uber for free. Let’s say the car has some issues or has been sitting for a while, then we can come to you. We will evaluate the car, make you an offer and pay you cash on the spot. It’s as easy as that. Also, as a licensed California Dealer, we have the authorization to release your liability immediately. When you sell privately you don’t know how many times your title will change hands until it finds a final owner. Many brokers pose as private buyers then try to sell it overseas. Even worse they take pictures of your car then post it online and try to have it “pre-sold” before they pay you. Consequently, don’t get caught up in these scams. 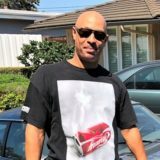 Sell your car to a reputable dealer like Dennis Buys Cars and avoid the headaches. We will pay you top dollar, get it done quickly and honesty with no hassle. We have great cars, trucks, motorcycles, SUVs and classics for sale. Check out our Yelp reviews and FUN VIDEOS! Lastly, we love motorcycles and we will buy your motorcycle! Just like classic, we will make it quick and east. Bring your bike to us, we pay top dollar in cash and Uber you home. Or, we can come to you with a ramp and truck, pay you cash and haul it away. Dennis: Joseph, tell us about this car you’re selling today. Joseph: Well, I need to Sell My Classic 1966 Chevy Caprice that has been in the family for over 40 something years. My wife and I decided to sell it because we are not using it any longer. I came to Dennis to get a deal and I got an excellent fair deal. Anyone interested in selling a classic car come and see Dennis. Dennis: We really appreciate that. The car has a very interesting ownership history, tell us about that. Joseph: Absolutely, it was my wife’s grandmother’s car. 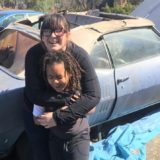 She purchased the car brand new and upon purchasing the car, it’s been in the family since day one. It’s a one owner car and it has a history of my wife as a little girl when she first rode in it, so she has a lot of fun memories, but it was time to get rid of it and start a new chapter. Dennis: Let me guess, I bet her name was Merle. Joseph: Absolutely, yes it was. Dennis: Joseph, tell us why you decided to sell your car to a dealer as opposed to selling it privately? Joseph: Well, I didn’t want to go through the hassle and the time that takes to sell it. Therefore, I made one phone call to Sell My Classic 1966 Chevy Caprice, brought it down here, no haggling, no unnecessary juggling you know. Dennis: Maybe just a little bit. Joseph: Well, a little bit. It was actually easy, it was great. Dennis: Now, how did you find Dennis at Dennis Buys Classic Cars? Joseph: Actually I went on the website and just surfed through the website to Sell My Classic 1966 Chevy Caprice. Yours was the first website that I’ve seen and I feel in love with it. I figured, if the website was good, then I would definitely come and talk to the man himself. Dennis: Great, we’re glad you did. Joseph do you remember what it was that you typed in when you did the search online? Joseph: Actually I put in classic car, the year and make of the car and the dollar amount that I was looking for so I guess it was Sell My Classic 1966 Chevy Caprice. Dennis: So you typed in Sell My Classic 1966 Chevy Caprice? Dennis: Great, it worked and it got you here. Dennis: So nice to meet you, we really appreciate you. Dennis: Oh wait! Reach in your pocket and show us the best part of the transaction today. Joseph: Oh jeez, I don’t want to get robbed. I tucked all in the envelope. Dennis: Thank you so much, I really appreciate.